POLSON — Karen A. Barba, 69, of Polson, returned to our loving Heavenly Father on March 29, 2019. Karen was born on Feb. 3, 1950, in Long Branch, New Jersey, but from her first visit to Montana in the mid '80s she always felt her home was near the Mission Mountains. She was the daughter of the late Harold and Shirley Gundell. Karen is survived by her sister, Kim Gundell, who was her best friend and confidant and her husband, the love of her life for 52 years, Peter J. Barba, Jr.
Karen graduated from Kean College in 1972 with a Bachelor of Arts degree in education. She continued her education, receiving her master’s degree in 1975 and taught in elementary and high schools in New Jersey and St. Croix, US Virgin Islands. Karen loved teaching and continuously strived to help the children. 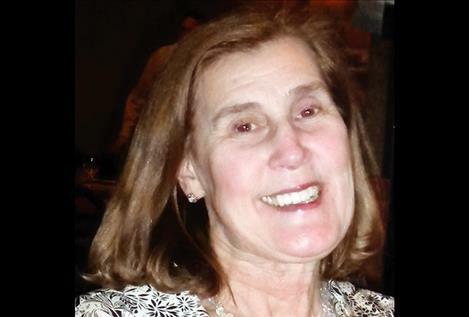 Throughout her life she was kind and generous, always thinking of others. Karen loved to travel in the US mainland, Hawaii, the Caribbean/West Indies and Europe. She especially loved Washington, DC and their numerous museums. Her love for animals was boundless. She loved birds, ducks, horses, dogs and cats. The family would like to thank the incredible caring people that Home Options Hospice provided. Karen is now breathing freely and riding her favorite horse, Rex, in the heavens above. There will be a Celebration of Life for Karen held at a later date. Messages and condolences may be sent to the family at: www.thelakefuneralhomeandcrematory.com.